You cannot impart what you do not possess! This was a favorite saying of Dr. Howard Hendricks of Dallas Theological Seminary. John & I had the privilege of sitting under Dr. Hendricks' teaching in the 1980's at DTS. No matter the class, whether it was "Bible Study Methods" or the "Christian Home," this profound little truth would punctuate the "Prof's" lectures. In my last post, we talked about Teaching from a Reservoir. If Dr. Hendricks' statement is true, then teaching (or whatever we are doing) from a reservoir presupposes LIVING FROM THE RESERVOIR -- the reservoir of truth in relationship with Him who is the TRUTH. In the early fall of 2000, John & I were blessed by a visit from Dr Marvin Mayer and his wife Shirley. Dr. Mayer had just retired from many years of teaching Bible and Theology at Moody Bible Institute in Chicago. John & I were students at MBI in the 1970′s. Dr. Mayer fast became one of my favorite professors and “spiritual father,” with a continuing relationship over the years. You cannot impart what you do not possess!This was a favorite saying of Dr. Howard Hendricks of Dallas Theological Seminary. So in a very real sense, whether it's parenting, teaching, "friending," "neighboring," working, ministering to others in a physical, emotional, or spiritual sense...you can NOT impart what you do NOT possess. And you cannot possess anything of real, spiritual value unless it is received from the Giver of every good and perfect gift (James 1:17). It's so easy to give out and give out and give out again...only to find ourselves running on empty. I think especially of moms...talk about pouring yourself out for others! How do we have what we need for whatever comes our way? Our usual way is to try to figure out what to say and do...or go get advice from a friend or expert, instead of going to Him who has the words of life (John 6:68-69). WEAVING the LORD and His WORD throughout our day. It starts out morning by morning -- listening to Him. We awaken with thoughts of Him, giving up the day to His care. It ends with thanksgiving and trust for what came our way that day. In between, there can be short, sentence prayers...practicing the presence of Christ through out the day by conversing with Him, our best Friend -- listening and even journaling as we go through our day. 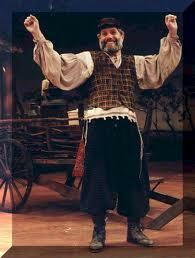 One of my fictitious heroes of all time is Tevye, the father in the film The Fiddler on the Roof. The reason I love him so much is because of his relationship with God portrayed in that film. He so easily talks with God -- being very real with Him about his frustrations and desires, truly weaving Him throughout his day. If I were rich, I'd have the time that I lack To sit in the synagogue and pray. And maybe have a seat by the Eastern wall. And I'd discuss the holy books with the learned men, several hours every day. That would be the sweetest thing of all. Tevye longs for the Word of God in ever growing depths. Is that our desire too? As with Tevye, it may be difficult for the longer times of devotion and Bible study, though it's well worth the effort to make that a high priority. But what about also leaving the open Bible on the counter-top, desk, end table...grabbing snippets of the Word during those "open spaces" in the day? 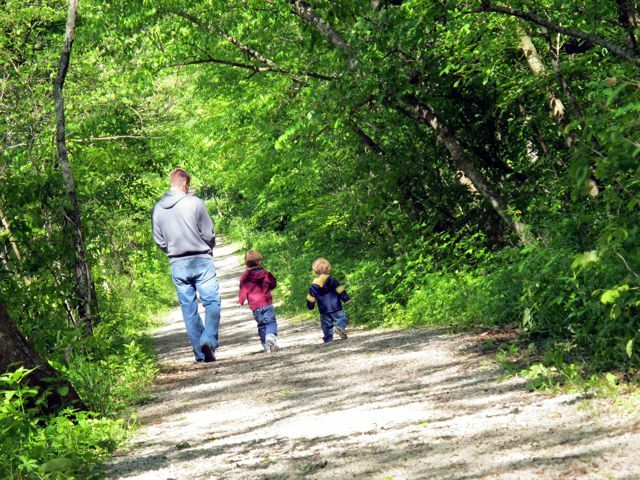 Playing Christian music (instrumental and otherwise) and Bible teaching in the car, at home, in the classroom, at the gym, on walks/runs could permeate our days with peace and richness that come from thoughts of our Lord. I love this verse: Open your mouth wide and I will fill it. Psalm 81:10 "Lord, I'm opening my mouth and my ears, fill them as You promised." WORKING by HIS strength, wisdom, and insight Then with the instructed tongue, the tongue of a learner, we will have the words to sustain the weary oneswhether in the home, the classroom, the neighborhood, the workplace, the grocery store, on the telephone, on facebook -- wherever God may place us that day. This will be true because it won't be us, but HIM through us -- as us, His students/disciples living from the Reservoir of the Word in relationship with the Living WORD! Jesus did not say - "he that believeth in Me shall realize the blessing of the fulness of God," but - "he that believeth in Me out of him shall escape everything he receives." Our Lord's teaching is always anti -self-realization. His purpose is not the development of a man; His purpose is to make a man exactly like Himself, and the characteristic of the Son of God is self-expenditure. If we believe in Jesus, it is not what we gain, but what He pours through us that counts. It is not that God makes us beautifully rounded grapes, but that He squeezes the sweetness out of us. Spiritually, we cannot measure our life by success, but only by what God pours through us, and we cannot measure that at all. When Mary of Bethany broke the box of precious ointment and poured it on Jesus' head, it was an act for which no one else saw any occasion; the disciples said it was a waste. But Jesus commended Mary for her extravagant act of devotion, and said that wherever His gospel was preached "this also that she hath done shall be spoken of for a memorial of her." Our Lord is carried beyond Himself with joy when He sees any of us doing what Mary did, not being set on this or that economy, but being abandoned to Him. God spilt the life of His Son that the world might be saved; are we prepared to spill out our lives for Him? "He that believeth in Me out of him shall flow rivers of living water" - hundreds of other lives will be continually refreshed. It is time now to break the life, to cease craving for satisfaction, and to spill the thing out. Our Lord is asking who of us will do it for Him? For further study look at Luke 6:39-49. 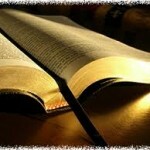 List everything the Holy Spirit "highlights to your heart" about teaching and being a "learner" (disciple). Dedicated to my fellow teachers...no matter the level, subject, or circumstance. In the early fall of 2000, John & I were blessed by a visit from Dr Marvin Mayer and his wife Shirley. Dr. Mayer had just retired from many years of teaching Bible and Theology at Moody Bible Institute in Chicago. John & I were students at MBI in the 1970's. Dr. Mayer fast became one of my favorite professors and "spiritual father," with a continuing relationship over the years. On this particular visit, I got up early so I could walk with Dr M in the morning before he and Shirley left to return home to Illinois. As we walked and talked, he spoke of his years of teaching and made a statement that grabbed my attention: "I teach from a reservoir." I knew what he meant in the context of our conversation. He taught his theology and Bible classes from a plethora of Scriptural knowledge and doctrine as a result of years of study and teaching. But as I continued to reflect on this statement in the following days, I realized that the reservoir that Dr Mayer taught from was not just that of Bible truth, but rather truth in relationship with Him who is Truth Himself. I recalled Dr M's classes and the prayers he prayed and the hymns he sang, while we joined in. :) His passion for the God he taught about was so evident to us students. A few years later in the midst of a conversation with my daughter about motherhood, the Lord brought to mind a verse that was for me an obscure one. This verse beautifully illustrates the exact point about teaching from the reservoir of truth in relationship with Him who is Truth. The scribes were the teachers/experts in Scripture truth, who may or may not have had a personal relationship with the God about whom they taught. But in this verse, Jesus says that if a person knows the Scriptures well AND becomes His disciple (which means being attached to Him the Teacher, not just His teaching), he will have a reservoir or treasure [same Greek word] from which to draw in teaching and ministering to others -- new truth added in with known (old) truth, whatever is needed at the time. And all in relationship with Him who is the Truth. It's kind of like my kitchen cabinet. Because I have that treasure/reservoir of pottery, I can go in there and pull out some of my new Polish pottery and arrange it on the table to make a beautiful setting with an old blue and white pitcher. What about YOU, dear teacher/ home school mom? What is the reservoir YOU are drawing from? Is it your slick methodology, your fancy hi-tech curriculum, your astounding expertise? All of those may be wonderful, but ONLY if you are a disciple of the MASTER TEACHER Himself, submitting to Him and His Word. Then you will be teaching from the vast reservoir of truth found in relationship with Him who is the Truth! More to come in the next post Living from a Reservoir.